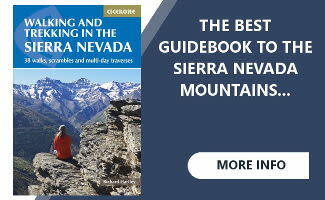 Sierra Nevada Mountain Guides offering activity tours, courses & holidays year round for everybody! 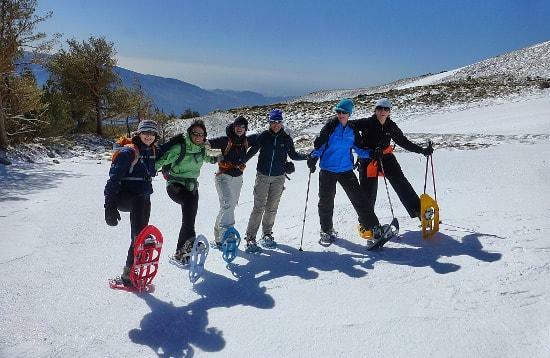 SPANISH HIGHS, Sierra Nevada Mountain Guides provide a wide range of activity holidays including walking & hiking, trekking, scrambling, mountaineering, snowshoeing and skiing in the Alpujarras, Sierra Nevada (highest mountains in western europe outside the Alps!) and other varied destinations in the remote sierras of Andalucia Province, southern Spain. Also regular expeditions to the Southern Patagonian Icecap. In our blog "Inspiring the Adventure" we create new innovative mountain routes, ideas, areas and activities. We hope you will use these as an inspiration for your own adventures here! We offer trips on demand of any duration and any start date. 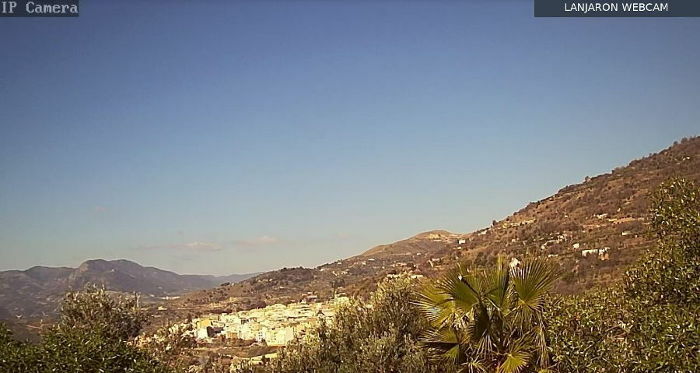 The area provides great opportunities for all, from the high and wild mountains in winter, to the more gentle spanish walking found in the hills of the Alpujarras.There is something to interest everybody. Our sites provide Mountain and Travel Information and a wealth of resources for those travelling independently or those who just want to learn more about these wonderful mountains! Information on prices, self guided support, accommodation options, mountain weather and conditions, route maps, mountain databases, huts and refuges, altitude sickness, avalanche dangers, equipment lists, gear rental and general FAQs can be found in our Information Knowledge Base. Only here for a short visit? 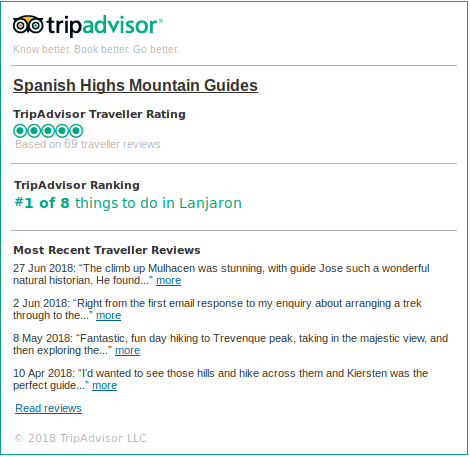 Then join our classic year-round selection of Day Walks and Hikes in the Alpujarras and in the summer you will love the beauty provided by the lakes and mountains of the high Sierra Nevada. Leave the rat race behind and enjoy our week long "Alpujarras Escape", for the very best Walking and Hiking holidays in the Alpujarras. Or why not join writer Chris Stewart and ourselves "Walking over Lemons". Quiet, remote walking and hiking with just the right amount of luxury thrown in for good measure. Sample the "all inclusive" delights of our Group Walking Holidays. These are specially formatted to allow you the flexibility to choose each days activities, whether they be a gentle guided walk, a harder guided hike or an excursion to visit some of Andalucias greatest historical and natural sights. The Sierra de Huetor and Cumbres Verdes near Granada offer spectacular and quiet hiking tracks. West of the Sierra Nevada the Lecrin Valley offers an interesting and quiet venue. We just love visiting the unique desert badlands of Tabernas, Almeria. 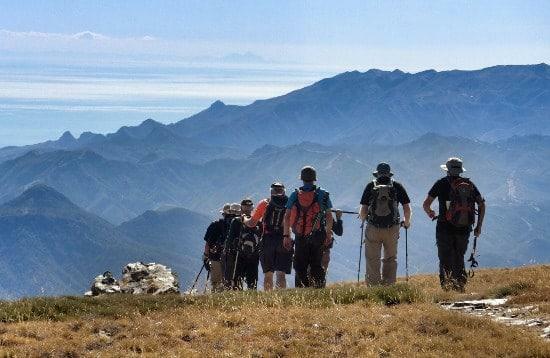 Nearer to Malaga the Sierra Blanca, Sierra de las Nieves, Costa del Sol give superb walking close to the sea. 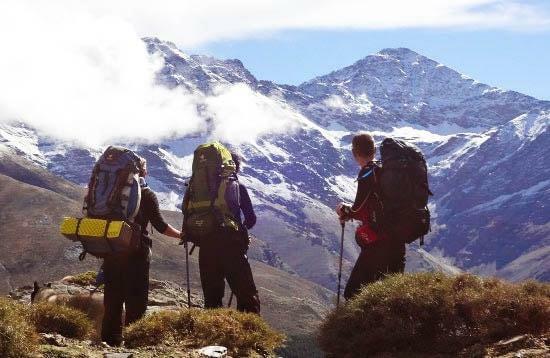 We have many day and multi-day treks in the Sierra Nevada. 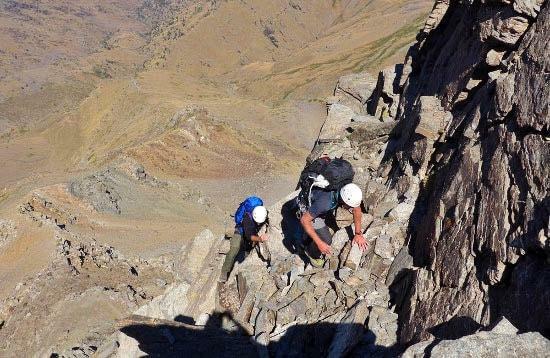 The most popular is to climb Mulhacen, highest mountain in Spain in either one or two day trips. An increasingly popular summer option is to sleep on the summit and enjoy the Sunsets and Sunrises. We also regularly complete the classic trek, "Los Tres Miles", 3000m peak ridges. This involves 3 or 4 nights wild camping by streams and lakes and covers all the major summits of the range in a tough 4/5 day trek. As well as summer mountain ascents, we have various multi-day Crossings of the Sierra Nevada of between 1 and 3 nights duration. This takes you into some really wild and quiet mountain country. The incredible "Trek the remote North" covers all the quiet northern 3000m+ mountains and is perfect for lovers of mountain solitude. For a hiking holiday with a difference try Lightweight Backpacking with mules, where the donkeys take your tents, stove, food and extra gear on to the next camp. The possibilities are endless! Want something different? The Los Tres Picos, Sierra Nevada Trekking Challenge is here! A diffcult 3 day trek climbing the 3 highest mountains in the range, either raising money for good causes or if you just fancy a challenge? Year round Scrambling in southern Spain. Our "Scrambles in the Sierra Nevada and Andalucia" offer some great mountain experiences in wild surroundings, throughout the year. The high mountains of the Sierra Nevada province a wealth of superb routes. Between May and November we shall show you some of the best ridge and butresses scrambling around. Andalucia province has a wealth of untapped potential, including the Sierra de Huetor north of Granada. Superb routes on excellent rock from September to June. Many of the routes have been developed by ourselves over the years. With reliable, snowsure conditions from December until March inclusive we run Winter skills mountaineering courses, Alpine Introduction courses and winter ascents of the main peaks of the Sierra Nevada. This region is set to become very big with some amazing newly developed Via Ferrata routes in Andalucia. Available year round. Granada Province offers some great Rock Climbing giving routes of all grades. We also offer Ropework Courses for those new to the sport. We run regular expeditions (Nov and Dec) to the Southern Patagonian Icefield. The expedition encircles the stupendous Mount Fitroy and Cerro Torre massifs. Guided day or multi day Snowshoeing Tours. With access to the high mountain bowls of the Sierra Nevada and the forested Alpujarras on our doorstep. During the winter months snow is in abundance; and with great trails offering wonderful scenery, snowshoers will find this a wonderful destination. Moreover, snowshoers of every level of skill and experience will find plenty of trails to meet their desires and needs. If youve never tried it....you should! Its good fun and very easy to learn. The ultimate way to travel in the mountains! With good snowsure conditions from January to May, the Sierra Nevada is one of Europe's best areas to learn the basics of travelling through the high mountains on skis. It is backcountry skiing at its finest! We run both beginners courses and also trips for the more experienced. We run holidays aimed at the complete beginner to the sport. Suitable for those with some previous on piste experience who are also strong mountain walkers. We can provide skies, skins and poles as part of the holiday cost. We also run trips for those who have tried ski mountaineering before but who wish to expand their skills and experience. Based in the Granada province of Andalucia, Spanish Highs offer tailored trail running itineraries and guided trips in the beautiful Sierra Nevada National Park; a landscape of stunning mountain terrain and rich biodiversity, steeped in history and culture. 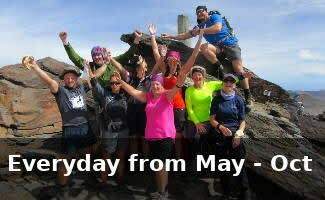 Whether you are interested in fitting a days running into your holiday, want to give your marathon training a high-altitude boost, or are seeking a tough multi-day challenge in preparation for your next ultra, we have routes and itineraries to suit all levels of fitness and experience. 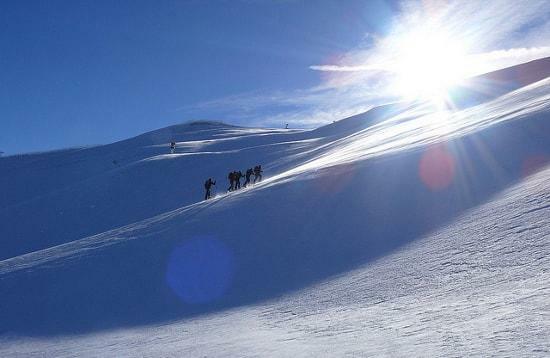 Year-round Mountain Guiding with local guides, local people & local knowledge. Experience you can trust! 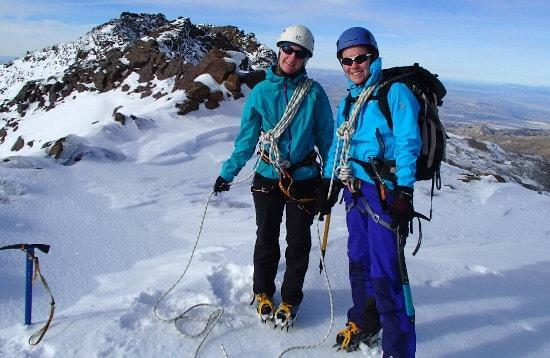 Provide an enthusiastic and friendly team of Experienced, Professional Mountain Guiding and Leadership. Adheres to a Responsible Travel and Environment policy. TV - BBC2 "Gimme a Break"